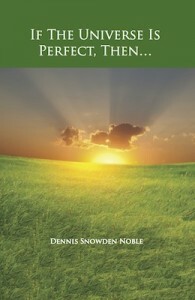 If The Universe Is Perfect… is a simply written book of practical philosophy. Through the voice of Henry, a man of extraordinary wisdom, who weaves his knowledge and wit in a most interesting manner, we take a journey through the principles that allow us to make sense of the world, and help us understand the real purpose of our life on planet earth. In addition to the timeless wisdom offered through the story of Henry, the book contains inspired poems and short stories. If The Universe is Perfect… is thought provoking and challenges mistaken beliefs we hold about the perfection of all things. Spending time with Henry is like being with a master determined to wake you up.